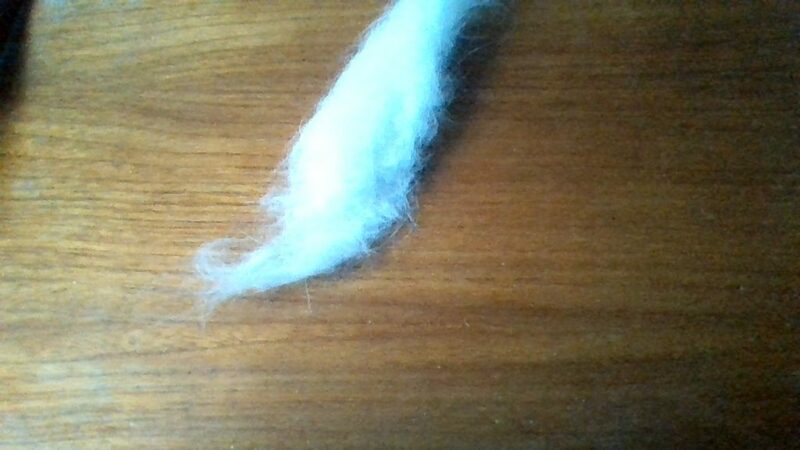 When my Angora wool is delivered to me (I don’t have any rabbits now), it is greatly depressed into a plastic bag, all the air has been squeezed out. So, the first thing is to get the air back into the wool again. 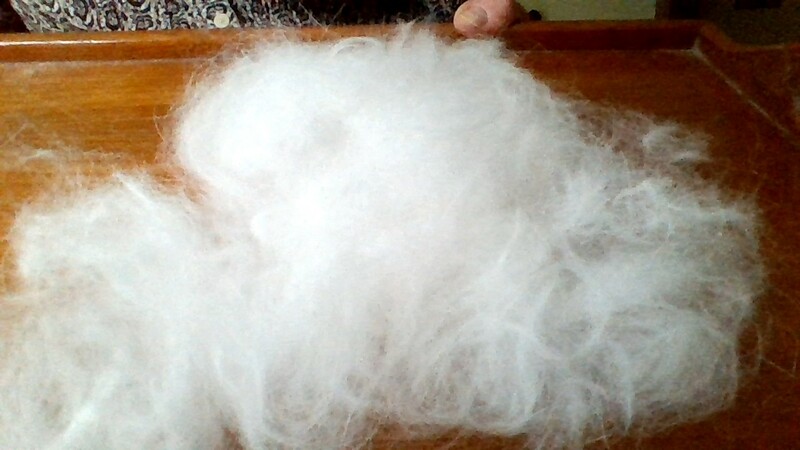 I tease the angora out and take out any debris and any double cuts of wool. I finish up with a mountain of wool, 4 to 5 times the original size. Next, using very “fine” carding combs I make rolags. 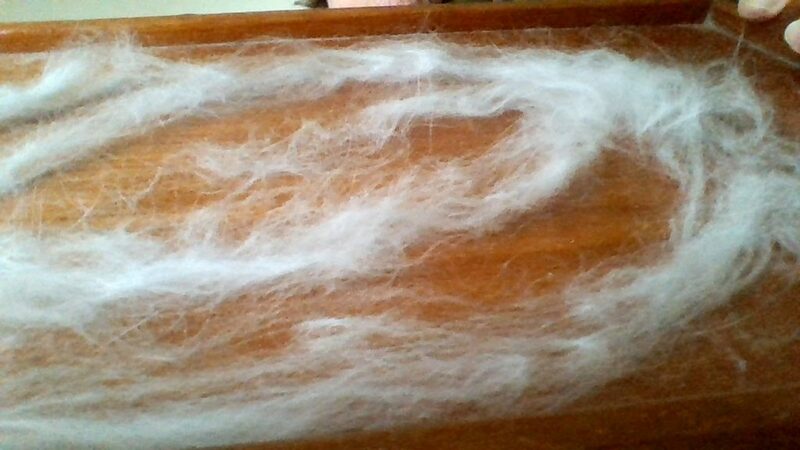 Place a small amount of wool, which can be lying in all directions, and pass through the combs a couple of times. Be very gentle with the combing. The combing will align the wool and make it much easier to spin. Try to keep as much air in the rolag, which should be fat and bouncy. Next before spinning, the rolag should be stretched out thin, but still keep its structure. To me the preparation is very important, and by going through this process I know I will be able to spin very consistent yarn, with no slubs or thick pieces, It does take quite a long time but I know I will be able to spin a uniform yarn each time. Posted 25/11/2017 by LH & filed under Wool Products.